This shot makes it look like the hawk has a long tail! 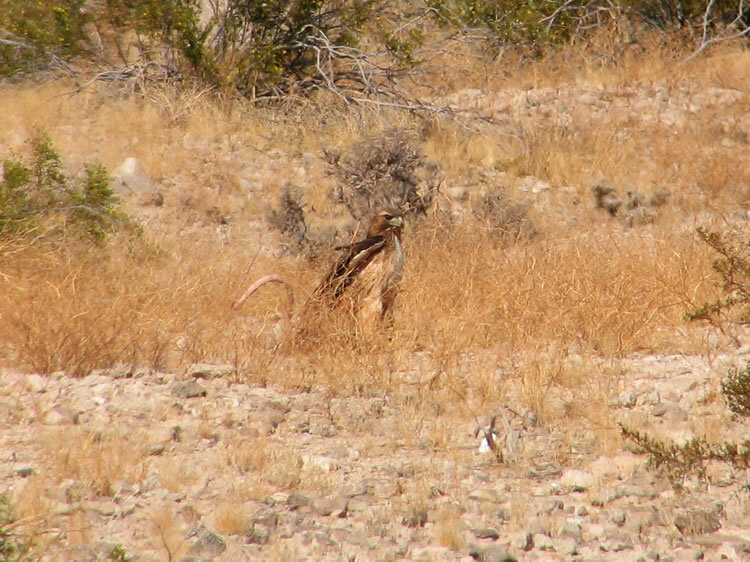 Just after this photo the hawk lifted off and, with the large snake dangling beneath it, headed off toward the hills. Unfortunately we missed that picture!